Overview - In the early '50s, he joined EMI/Parlophone and started working on orchestral music, music for children, and single-handedly pioneered a range of hugely successful comedy records with Peter Sellers, Spike Milligan, Peter Ustinov, and others. Then, in 1962, he signed The Beatles and everything changed. Together, George Martin and The Beatles revolutionized pop music and recording techniques, forging probably the greatest producer/artist collaboration there will ever be. 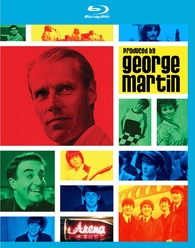 Produced By George Martin features numerous classic clips of the artists he has produced and new interviews with many of them including Sir Paul McCartney, Ringo Starr, Michael Palin, Jeff Beck, Rolf Harris, Cilla Black, Millicent Martin, and Bernard Cribbins. What do Peter Sellers, Jeff Beck, The Police, Elton John, The Beatles, and, uh, Kenny Rogers all have in common? Well, they've all been 'Produced by George Martin.' One of the record industry's most celebrated producers, Martin has helped shape some of the biggest hits in popular music. Originally aired on the BBC, the documentary chronicles Martin's life and storied career, forming a comprehensive, interesting, and at times even intimate portrait of the dashing, elegant record producer. Set to an amazing soundtrack fueled by Martin's own productions, the documentary takes a pleasing but fairly conventional approach, offering a standard overview of his contributions to popular music. Informal talking head interviews with Martin, his family, friends, and collaborators, are all mixed in with archive photos and footage. His childhood, education, training in classical music, experience as a pilot during the war, path toward producing, early work in comedy albums, fateful meeting with The Beatles, and later records are all covered in detail, mostly by Martin himself, creating a solid portrait of the man and his accomplishments. Participants range from surviving Beatles members Paul McCartney and Ringo Starr, to Monty Python alum Michael Palin, singer Cilla Black, and even the great Bernard Cribbins (good old Wilfred Mott to 'Doctor Who' fans). While some of the interviews are filmed solely with the individuals in question, many of them feature Martin as well, and it's quite amusing to see him interact with his family and former collaborators. Martin's son, Giles, actually interviews his father during several segments, adding a nice personal touch to the proceedings. There are some sweet moments shown with Martin and his wife as well, and she even steals the spotlight to read one of John Lennon's poems to the camera. Outside of family, Michael Palin's run through of Martin's influential comedy records is certainly a highlight, but as one might expect, interviews with McCartney and Starr are the most enlightening and entertaining. Despite whatever ups and downs they faced in the past, the producer and musicians have a close, playful rapport, and it's fun to see them reminisce about the challenges of Beatlemania. While the early portions of the doc can feel a bit dry and listless, once the film starts to address Martin's legendary work with The Beatles, the momentum picks up considerably. Fans of the Fab Four are in for a real treat, as the documentary provides lots of details on the collaborative process between the band and their producer, revealing just how instrumental Martin was in helping them develop their unique sound. The hectic schedules and lifestyles of the group are touched upon, and there's even some interesting tidbits about the precarious Lennon/McCartney relationship, with Martin providing some insights into their dueling styles and methods. Anecdotes about the evolution of specific songs are addressed, and Martin elaborates on the manner in which he helped influence the group's experimentation with recording speeds and reverse playback. The infamous conflicts that arose during the recording of "Let it Be" are also addressed, and Martin describes how the band's decision to go with Phil Specter left him feeling betrayed. The Beatles segments prove to be the meatiest and most engaging, but the film does a solid job of chronicling the producer's post-Beatles liberation as well. With a career as filled with hits as Martin's, there really is no shortage of material to focus on. His work with America, Jimmy Web, and The Police are all skimmed over, and Martin provides some fascinating tidbits about his overall producing philosophy. The producer's tragic hearing loss is also chronicled, revealing the ironic toll his work has taken. Martin's unique personality starts to come out more in these later segments as well, and while he always seems rather prim and proper, a slightly debonair side is exposed, essentially painting him as the James Bond of record producing. Hell, he even teaches us how to make a proper martini -- shaken, not stirred, of course. 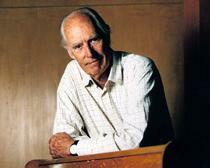 'Produced By George Martin' is an interesting but rather conventional documentary program. Martin's contributions to popular music are immeasurable, and the film does a nice job of highlighting his celebrated work with The Beatles. The filmmakers also provide a decent overview of his private life with some welcome personal touches here and there. With that said, the presentation can be quite dull in spots and the film does take a while to find its groove. When it does, however, Martin's suave and charming personality shines through, and the soundtrack is undeniably fantastic. Beatles fans and music aficionados should definitely check this out. Eagle Vision brings 'Produced by George Martin' to Blu-ray on a BD-25 disc packaged in a keepcase. After some logos and warnings the disc transitions to a standard menu. The movie is provided with a 1080i/AVC MPEG-4 transfer in the 1.78:1 aspect ratio. Like many documentaries, the program features a lot of archive and upconverted footage, but the native high-def material looks pretty good. The newly recorded, digital interviews and footage are relatively crisp, but some minor aliasing, shimmering, and noise are visible from time to time. Detail is solid, but the image has a fairly blown out look, with overexposed whites in several setups. Colors are natural and well saturated, and there's even some nice pop in a few shots focused on the island of Montserrat. With that said, the picture is predominantly flat. Lots of archive footage is weaved into the production as well, and most of this material looks like it comes from upscaled standard definition sources. Specks and various signs of age are also prevalent in these sequences, but that's to be expected. The majority of the doc looks quite nice with a pleasingly sharp image. The archive material isn't all that impressive, but that's simply the nature of such footage. For all intents and purposes, this looks about as good as it could. The audio is presented in an English LPCM 2.0 track with optional English, French, and Spanish subtitles. Marked by a fantastic selection of songs from Martin's storied career, this is a very nice mix. Dialogue in the various interviews is clean and crisp. The two channel soundstage is rather basic, but the track features great stereo separation for all of the songs. Though there are some minor age related issues with some of the recordings, the vast majority of the music sounds fantastic with great fidelity. Dynamic range is wide with clean highs and deep lows. The track is full of an eclectic mixture of groups and performers including The Beatles, America, The Police, Jeff Beck, Jimmy Web, and even some comedy routines from Peter Sellers. The music all helps to create an all encompassing portrait of Martin's work and comes through beautifully. While only a 2.0 mix, 'Produced by George Martin' actually sounds very good. The interview material is all evenly balanced and easy to hear, but the real highlight here is the music, and thankfully, it doesn't disappoint. Extended Interviews (HD, 52 min) - Eleven extended interviews are divided into seven categories and are presented in 1080i. While there is no "play all" button, if one selects the first interview, the remaining segments will continue to play with chapter breaks. More details are provided on Martin's producing style, collaborations, education, comedy recordings, and work with The Beatles. While the material can be a little dull and there is some very minor repetition from the main feature, there are still several amusing anecdotes and insights offered. 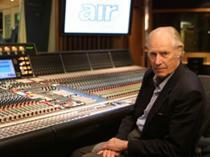 'Produced by George Martin' offers a solid portrait of one of the music industry's most important figures. Martin's personal life, legendary work with The Beatles, and later collaborations are all highlighted, giving a nice overview of his storied career. Despite some minor artifacts and occasionally low quality archive footage, the video transfer is pretty good. The audio mix is home to a wonderful selection of Martin's hit tracks, and they all come through wonderfully. Nearly an hour's worth of extended interviews rounds out the package. While the documentary can be a bit dry in spots, this disc is certainly worth checking out.